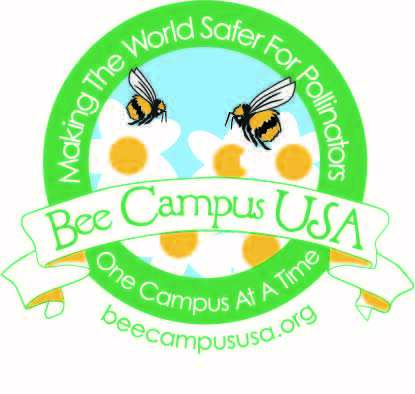 Did you know UNT is a Bee Campus USA affiliate? The UNT BCUSA committee, which is composed of students, staff, and faculty, serves to create events and programming that educate our community about the benefits of pollinators to our ecosystem and lives. 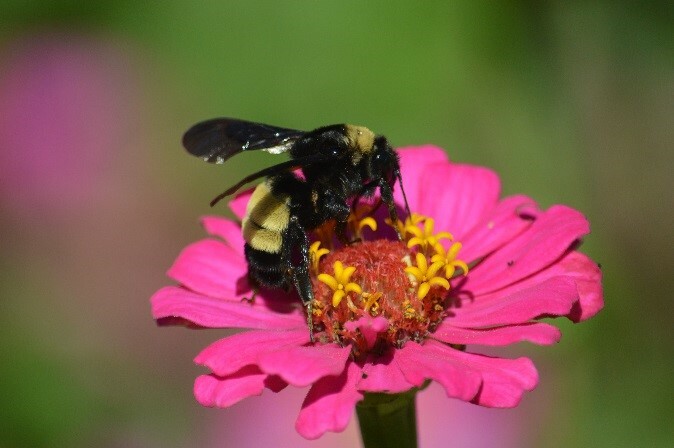 UNT is dedicated to providing habitat for pollinators and educating the community about the importance of pollinators to healthy ecosystems. These commitments have earned UNT the honor of being named the 1st Bee Campus USA institution in Texas and the 12th in the nation! Think of ways Bee Campus USA can be more involved? Pollinative Prairie: Located at Discovery Park, the prairie serves as a pollinator habitat and features native grasses, wildflowers, and habitat spaces to protect, preserve, and promote native pollinator populations. Students have contributed over 500 service hours in their partnership with the Department of Biological Sciences. If interested, please contact Dr. Jaime Baxter-Slye at slye@unt.edu. 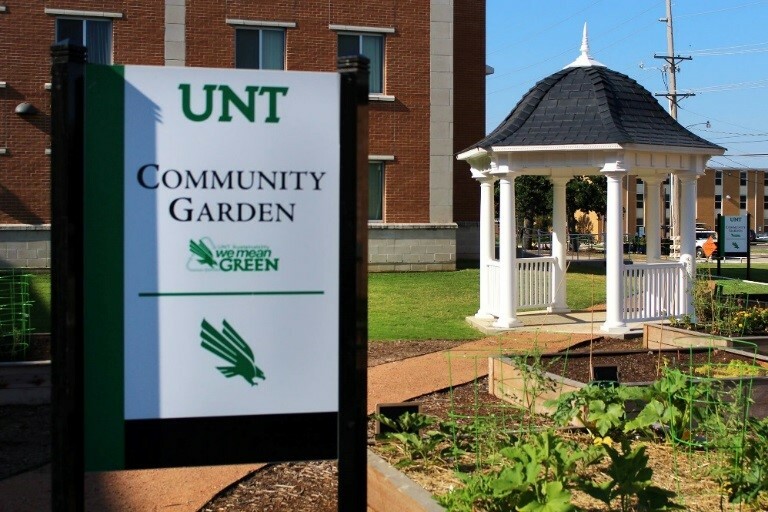 UNT Community Garden: Among many gardens across campus, this garden is a place for students, faculty, and staff to learn about organic gardening practices. Frequent garden workdays and workshops provide the perfect opportunity for UNT community members to learn about the importance of pollinators. 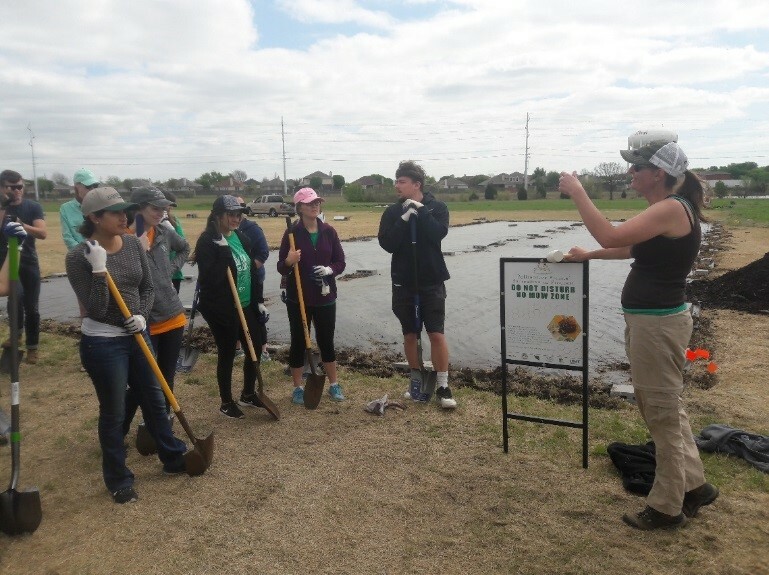 Contact CommunityGarden@unt.edu for information about volunteerism or free membership. UNT Natural Dye Garden: This garden focuses on bringing an interdisciplinary community of students and faculty together - furthering UNT's commitment to building a sustainable future. The dyes derived from the plants in the garden are used by students from the College of Visual Arts and Design, while provided opportunities for other disciplines to utilize the plants in their own research. This garden also houses sculptures integrated within the landscape providing spaces for the community to interact with works of art. Look for signage on campus and more service learning to come! How does “beeing” a Bee Campus USA institution benefit UNT?